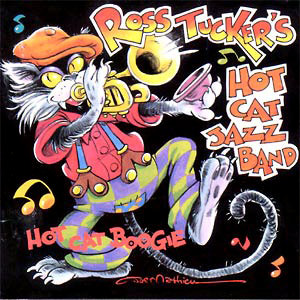 The Hot Cat Jazz Band can be found performing in many different settings — weddings (ceremonies, cocktail hours and receptions), private parties, corporate events, fundraisers, summer gazebo concerts, swing dances, Mardi Gras Parties, church worship services, silent auctions, wine tasting parties, and much more. This CD is packed with exciting, hot songs coming from many styles such as swing, New Orleans Dixieland Jazz and Gospel. To order your copy, please send a check for $12.00 made payable to Ross Tucker, and please indicate the shipping address. Or, call now: (860) 529-6123. Upon receipt of your payment, your CD will be sent immediately.